This course explores developing independent learners through literacy and phonics standards for elementary instruction. 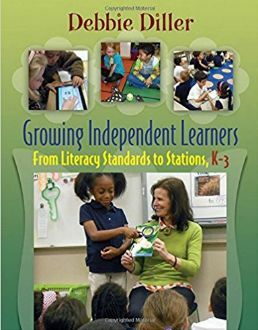 Educators will expand their knowledge of literacy stations, whole group, partner time, and independent work through anchor charts, helpful planning tools, extensions and accommodations for diverse learners. ​ Through foundational planning, co creating content and standards based instruction, the independent learner will blossom in the classroom! Educators will explore the topic of detailed explanation and focus in the standard’s real- world applications and importance. Teachers will examine how to plan for academic vocabulary, whole group ideas and literacy station improvement. Educators will be presented with ways of modifying lessons for reuse year after year. Teachers will have the skills and knowledge to connect and extend lessons into areas of daily instruction through mentor texts, anchor charts and improved instruction. Instructors will expand helpful tips and skill building in the classroom.